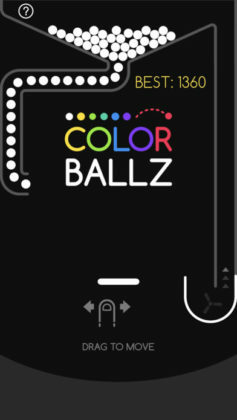 Home #WOW Color Ballz – 1,000 Points isn’t a high score!? Color Ballz – 1,000 Points isn’t a high score!? 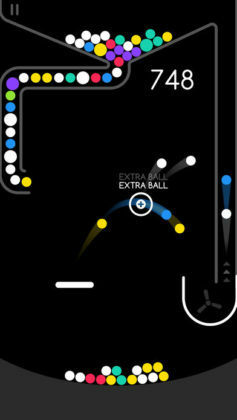 Do you remember a game called 100 Balls? Perhaps you still play it occasionally? 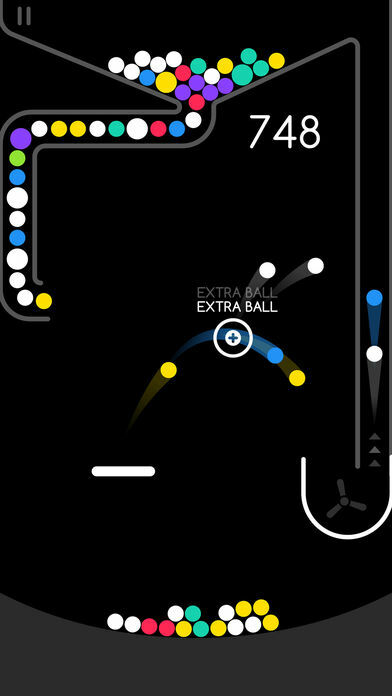 Today we’ve got a game that builds and expands on the general game concept behind 100 Balls in a way we could have never imagined! 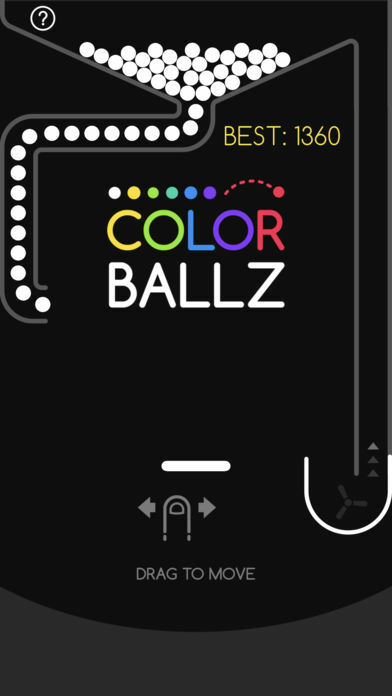 This is our review of Color Ballz. 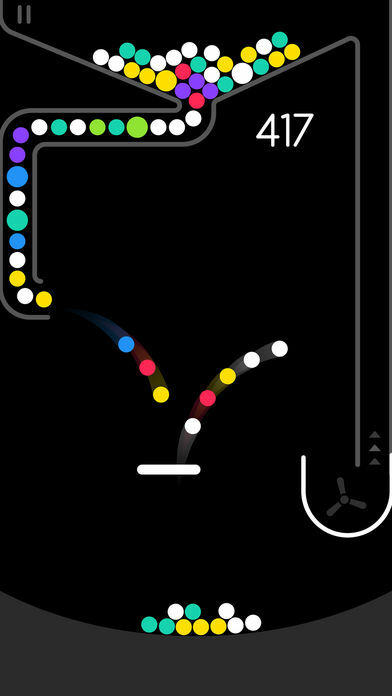 Now, just above the vat that collects the balls you bounce across are a number of different power-ups that appear and disappear periodically. Each power-up has its own unique characteristic, but they basically all help increase your score. 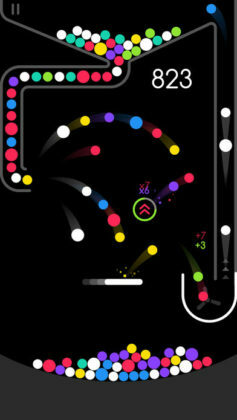 Using your Breakout skills, your mission in this game is not only to keep this endless cycle alive but to also build on it by bouncing balls through powerups, using your ever-shrinking paddle… Inconceivable…! 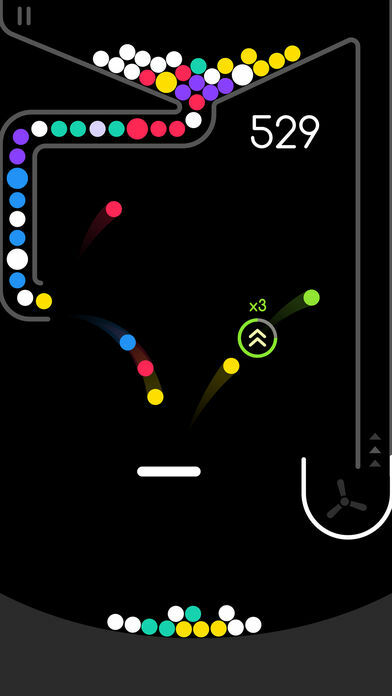 With a clean set of almost minimalist style graphics, surprisingly long gameplay sessions, (Each game can take +5 minutes) and amazing high scores for you to show off to your friends on Twitter, Color Ballz makes a 3 or even 4 digit score seem easy! 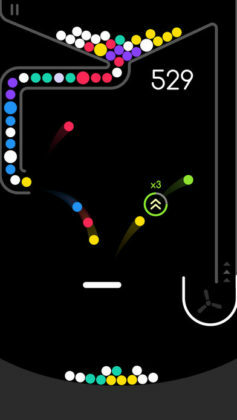 If you loved playing 100 Balls, get this game! You NEED it! 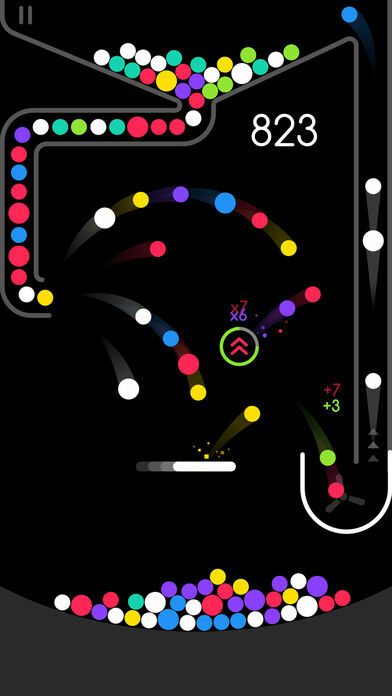 Otherwise, Color Ballz is a fun casual game that will entertain you for a surprisingly long time with a single game. Whoever said casual games had to be quick! ?